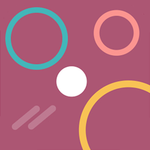 Circle Jump — Android App Sold on Flippa: Android Game - 2,492 downloads/mo. Over $46 Revenue! 3 hours left !! Android Game - 2,492 downloads/mo. Over $46 Revenue! 3 hours left !! Looking for someone able to skyrocket this to the top charts. Serious bidders only! We share with you our exact course that helped us achieve $85,000 in 10 months. This is for the BIN buyer !